Yacht Charter Devon is a Torquay based company offering skippered yacht charters around some of Devon's most stunning sailing destinations. Prices start from just £495.00 for a private day charter for up to 8 Guests to explore the breath-taking Devon coastline on your own private luxury yacht and includes a sumptuous buffet lunch and refreshments. 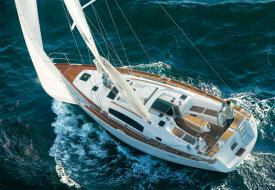 They also offer tailor made and special interest charters.